The Continental Sport Contact 3 MO is a high performing tyre that has many attributes.The tyre not only has great handling and a smooth and comfortable drive, the tyre also has excellent breaking performance.This all adds to the precise steering and epic grip in dry and wet conditions.The Sport Contact 3 is also available as a runflat tyre in certian sizes.The Continental Sport Contact 3 MO has been developed for Mercedes Vehicles. 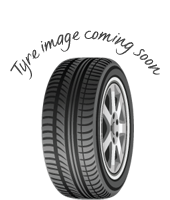 The Continental Sport Contact 3 MO is a high performing tyre that has many attributes. 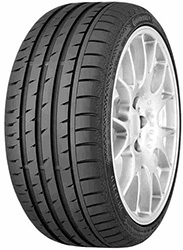 The tyre not only has great handling and a smooth and comfortable drive, the tyre also has excellent breaking performance.This all adds to the precise steering and epic grip in dry and wet conditions.The Sport Contact 3 is also available as a runflat tyre in certian sizes.The Continental Sport Contact 3 MO has been developed for Mercedes Vehicles.